First off, if you want to buy a home to live in, and you’re not looking at it solely as a investment – this article isn’t for you. If that is you, have fun building a life on a piece of property you get to call your own. This is for the people that are rushing into the market, thinking you can always find someone to buy your flip, because “property prices always go up.” For that crowd, let’s take a look at how buying at the peak of Toronto’s last real estate frenzy resulted in massive losses, and how long it took to recover. The last real estate crash occurred shortly after prices in Toronto peaked in 1989. 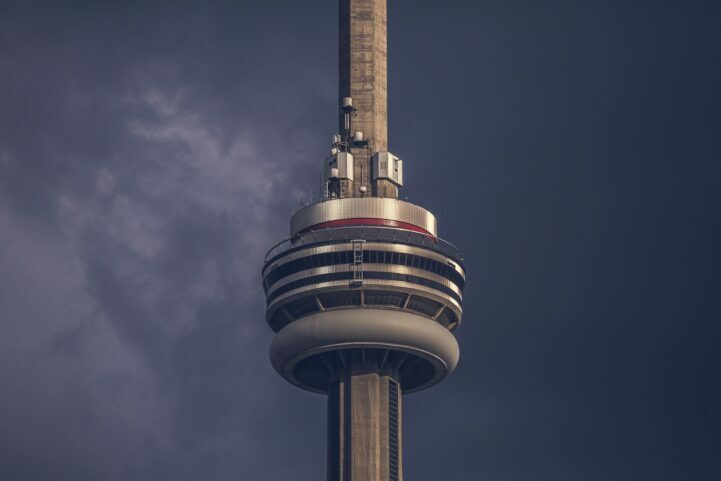 At the peak, the average sale through the Toronto Real Estate Board (TREB), was $273,698. Over the next 7 years, the average price dropped and finally bottomed in 1996 at $198,150. If you bought at the peak, and sold at the bottom – you lost $75,548, or roughly 27.6% of your purchase. It took 13 years for the average price to recover in Toronto. 13 years doesn’t seem all that bad, but that doesn’t account for inflation. Just so we’re on the same page, inflation is the rising cost of goods (or the falling value of money). Since inflaton decays the value of money, economists adjust the numbers to a single year’s value of dollars. This helps to understand if the value of an asset is appreciating, or just moving with inflation. Inflation adjusting to 2017 dollars, the 1989 peak of $273,698 is actually equal to $489,953 in today’s money. The 1996 low of $198,150, is the equivalent of $291,714. This makes a buyer at the high average, selling at the average low, someone that lost $198,239 in 2017 dollars. This makes the loss closer to 39.4%, which is a pretty high premium for buying at the wrong time. You might be thinking that isn’t that bad, you can always hold it until it goes back up. Sure, that’s an option, but keep in mind how long that took, especially when inflation adjusted. When adjusted for inflation, the last drop in 1989 took 22 years to reach the same levels again. This doesn’t include the cost of the mortgage, insurance, buying/selling costs, etc… If you turned a profit, it really wasn’t much money in the end, especially if you’re one of the people that purchased a home, and decided they were going to keep it empty while they wait for it to appreciate. If you’re buying a home for the next 25 years to live in and build a family, a dip here or there would be hardly noticeable. If you’re buying an asset solely for appreciation, make sure you’ve evaluated the risk. Buying a home has been one of the best investments you could have made in recent years, due to cheap borrowing. If you think the cost of borrowing is going to continue to be low, and prices will continue to rise…well, good luck. Like this post? Like us on Facebook for the next one in your feed. Already done that? Share this with a friend. Absolute insanity that there are still people that think the market can only go up. 22 years, just in time to break even by the time it’s paid off. As long as you don’t factor in the cost of carrying the mortgage, and the cost of selling the property. These fools don’t realize they’re providing the liquidity for people that are getting out at the top. Real estate was a great investment while rates were on the decline, but there’s way too much risk to jump into Toronto at this level. You might make a few bucks, or you might lose 4 – 6 years pay. Hm…let me think about that. Canadians don’t know the first thing about investing, so if they didn’t invest in real estate their money likely would have been eaten up by inflation anyway. The only effective way to make money in this country is to send it to another one. Rising costs, sub part income hence low ROI for a salaried man. Why would someone choose Toronto? It’s true. Calgary, Ottawa, and Montreal all have higher median family incomes, but substantially lower property prices. would you happen to be a real estate agent Manish? Why would anyone live in Toronto? What’s it to you or anyone else asking? It’s not your money so it’s not your choice. Why did I buy in Toronto! To eliminate the 2.5 hour drive daily. 4 hours in traffic on snow days. Better quality time with my wife and 3 children. You buy penny stocks you get penny returns. If you can’t afford the big smoke, you can’t afford the risks. The population growth in Toronto is anticipated to be 100K per annum for the next 5 years. The squish on residential prices has and will.push outside of the GTA. Been on the 407 lately? And it’s expanding. Prices will simmer and not take a giant dump. Panic , panic, panic. Want to simmer the market in Toronto and now Durham Region? Stop the Asian invasion. My brother is a broker and in whitby, Oshawa and Ajax alone…..of the 48 properties reported sold…for 1 day….39 were sold by Asian brokers. If you ain’t prepared to pay the money you ain’t gonna get out the ride.